Bringing this back up - on November 11, overnight, Cox field techs performed work to our neighborhood node. 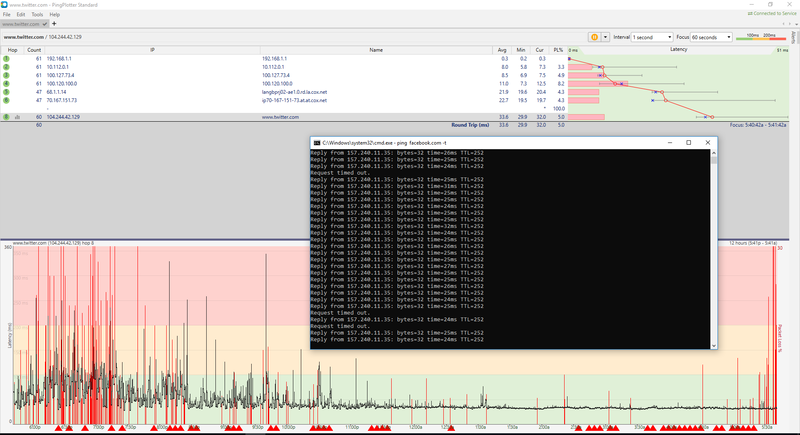 I did not experience packet loss or spikes in latency for 16 days, until today - November 27. 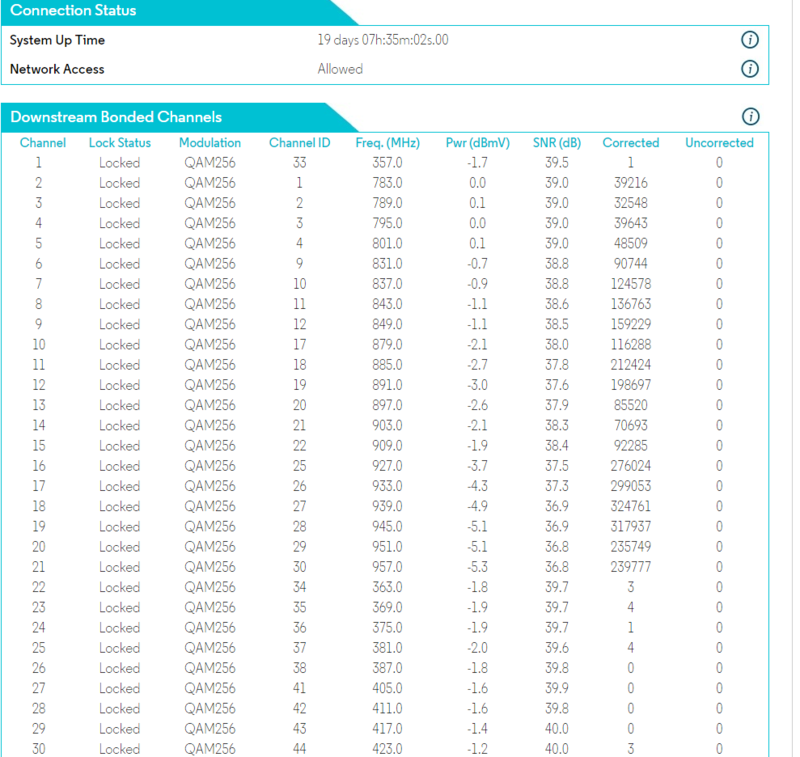 One channel (channel 2) has logged over 18,000 uncorrected packets over the past nine days of uptime. 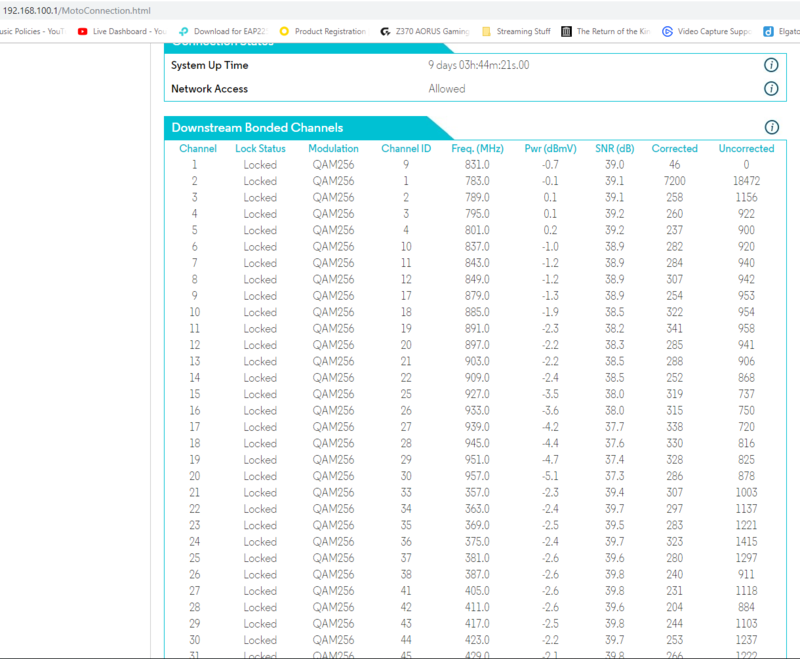 Every single channel has logged hundreds of corrected and uncorrected packets. This is ridiculous. Why is this still an issue? 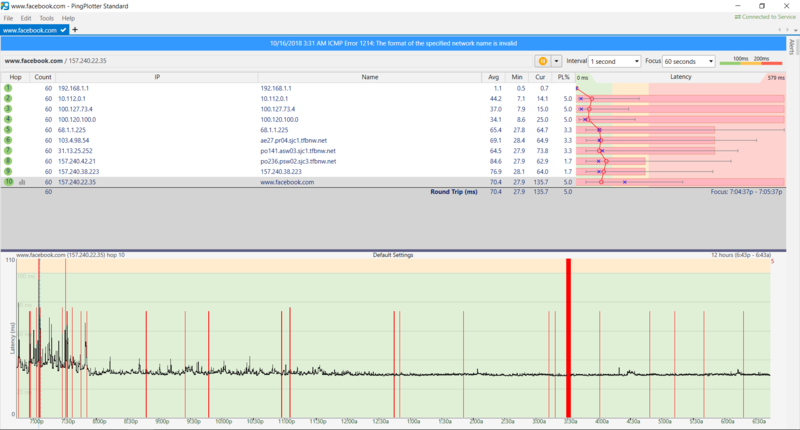 Two FCC complaints, a BBB complaint, local Phoenix city complaint, dozens of phone calls to Cox tech support with very specific data sets, dozens of emails to Cox support with additional data sets, at least half a dozen neighborhood node visits by Cox field techs since November 11, 2018 - why can't one of the nation's largest ISP's figure out the problem plaguing my area of Phoenix? This should be embarrassing to Cox tech support and field technicians. It is apathetic at best, malicious at worst from my perspective as a customer of ~10 years. This is not a complicated issue. If the infrastructure is the problem (which my neighborhood node is), take a portion of the $100/mo payments from your literal millions of customers in the Phoenix area and repair or replace the problematic infrastructure. I would imagine one market's gross of (conservatively) a hundred million dollars a month would allow the funds to replace faulty infrastructure. I'm going to throw my hat in the ring here as well. I am in North Scottsdale (far north, nearly Cave Creek) and we've been having noticeable problems for a few weeks now. We have the 300 level of service. Today will be a third visit from a tech. I seriously doubt anything will be found in the house. Also, as the tech is coming at 1PM today I doubt they'll find anything going on. The main problem is serious degradation of upload speed. Usually I notice it while gaming. This morning I noticed it just because I started running speedtest as soon as I got out of bed. The problem lasted for an hour after than point. When this occurs it corrects itself after a while and stays fine for a time. I try and run speed tests as soon as I notice it. On many occasions the upload test will totally fail. those results do not save however. Some tests show much slower results than expected. but at least those results save and are reviewable. I just installed ping plotter today so next time I have an issue (probably this evening) I'll be able to run it as well as speedtest. 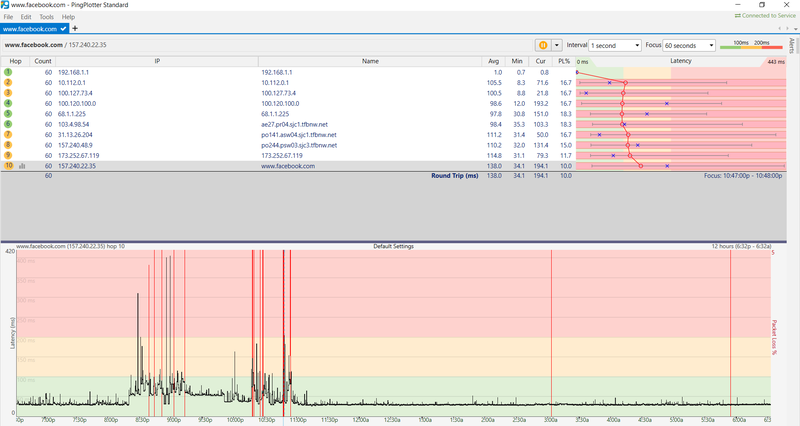 The modem was replaced by a tech three days ago and there are no error logs on the new modem. The previous modem had recorded many, many, errors. When the tech was here three days ago everything in the house checked out ok, but he replaced the modem and signal amp. To say the least that has not fixed the problem. Now if all I was doing was web browsing, or even streaming video I'd probably never notice the problem. When these faults occur the download degrades. Sometimes this degradation is well over 50%, but you can still get away with web browsing or even streaming. It becomes noticeable when gaming as the upload hits zero or very near zero. So I suspect Cox's problem is a lot bigger than they think. Looking at the demographic in my neighborhood I don't think there's a lot of gamers here. So maybe not so many complaints coming in. I'll see what happens after the tech visit today, but I'm not very optimistic. (Not sure what happened to my post from last evening 12/4, anyway tech 5 stopped in today.) Tech 4 completed the work on the tap last Friday and Saturday. However I had the same issues last night (12/4) for about 2 hrs from 5:30 to 7:30 PM. Greatly reduced download (>75%) but more noticeable is the near zero upload speed. Tech 5 today replaced the signal amp that tech 1 installed 9 days ago and replaced the internet/phone splitter installed by tech 2 8 days ago. Which he stated corrected some issues he noticed today. While this is all good I am really wondering how this relates to my issue which seems to occur in a fairly consistent manner at peak times in the evening. The errors last anywhere from 20 min, to a few hours and then correct. So we'll see what happens in the coming evenings. I’m having the same issues and getting real fed up with the cox people I get on the phone who basically follow a script on troubleshooting. I have had a technout who said cox was aware of the issue and had a scheduled “node split” set to be completed by the 29th.